Cignal Digital TV is one of the leading satellite television providers in the Philippines. In remote places where cable TV cannot reach Cignal and other satellite TV providers are the only option. If you subscribe to Cignal Digital TV and your on prepaid plans, you can easily reload in any Smart loading station. You don’t have to go to Cignal loading station to reload. Like buying loads of your cellular phone, you only need to give your Cignal account number and the type of load you want to any smart loading station, just tell them that you need a Cignal load. How to find Cignal Digital TV account Number? If you don’t know your Cignal account number, follow these simple steps. 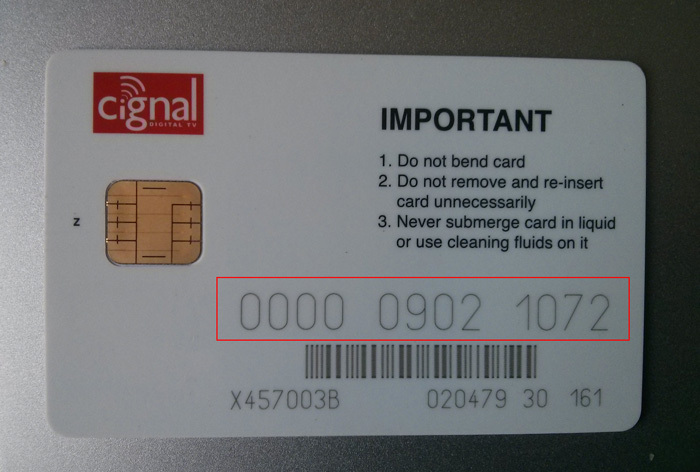 First, you need to know your smart card number, you can find this inside the Cignal Box. 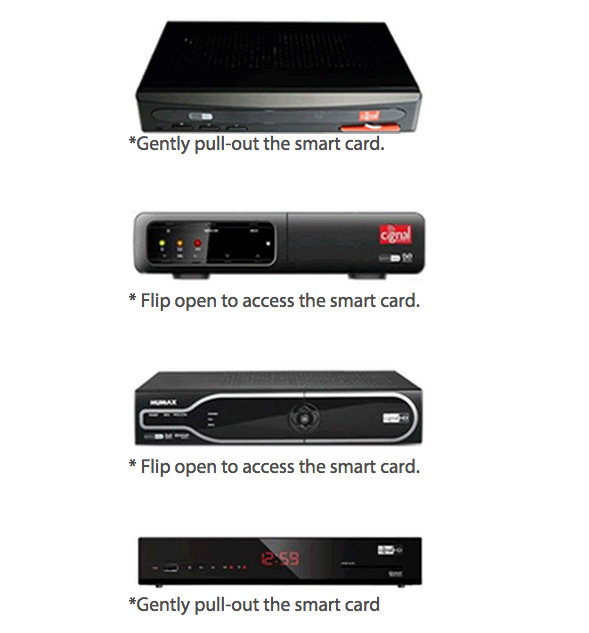 Depending on your set-top box type, please refer to the image below. After you take off the card (it looks like an ATM card), you can see the smart card number at the back of it. See the screenshot. Now, using your Smart or Sun Cell Phone, text CIGNAL SC <12 digit smart card number> to 5353. (Php 1.00 per text for Smart subscribers and Php 2.00 for Sun Cellular subscribers). Using the smart card number above your text message will be CIGNAL SC 000009021072 and send it to 5353. After sending the message, you will immediately receive a text back message from Cignal stating your account number. Using the account number you have just received go to the nearest loading station, if your neighbor selling smart load, they can reload your Cignal Digital TV account too. That’s it you can save your Cignal account number for your future use.